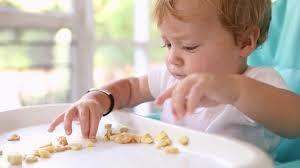 Home » healthcare » parenting » What nutrition plays a role in the learning process of the child? Know Here, Mam! What nutrition plays a role in the learning process of the child? Know Here, Mam! What nutrition plays a role in the learning process of the child - In the child's learning process, nutrient intake provides a very important role. Not only in physical development but also an intellectual. Therefore, you must always support it by providing proper nutrition to help the learning process. The following is a list of nutrients needed by your child. Check out, Mam. Breakfast is the main meal menu that should not be missed by your little one. Because the nutrients consumed at breakfast will have an influence on their activities throughout the day. According to the Children's Nutrition Research Center at Baylor University, children who eat breakfast will have more academic achievement than those who skip breakfast. What nutrition plays a role in the learning process of the child? The best nutrition for your child's breakfast is a menu of foods that contain protein such as eggs that contain choline which is important in improving memory. Oatmeal, this cereal is rich in protein that can improve children's brain development and facilitate brain performance. Salmon and tuna fish that are rich in omega-3s are also included in the list of the best breakfast menus because they have the goodness to improve brain performance. To complete it, present strawberry or blueberry juice which is rich in antioxidants. According to a study at Tufts University, strawberries and blueberries are brain foods that can encourage the cognitive abilities of the child to help the learning process. Then move on to lunch, the menu of which must include calories, vitamins, and minerals. The recommended menu is a sandwich with a choice of wheat bread. In addition to containing and high, wheat is also rich in vitamin B which can improve the performance of brain cells. Completing it with orange juice, oven beans, and fruit pudding will make your child's learning more exciting. One more important role is milk. The content of protein, calcium and vitamin D in it can improve brain performance and provide important nutrients for the body. Those are some of the nutrients that your child really needs in the learning process. Want your little one more full of smart action and smart sense right?